Wind energy is set to overtake coal, nuclear and gas to become the EU’s largest power source well before 2030. This is according to the International Energy Agency’s (IEA) 2018 World Energy Outlook released today. 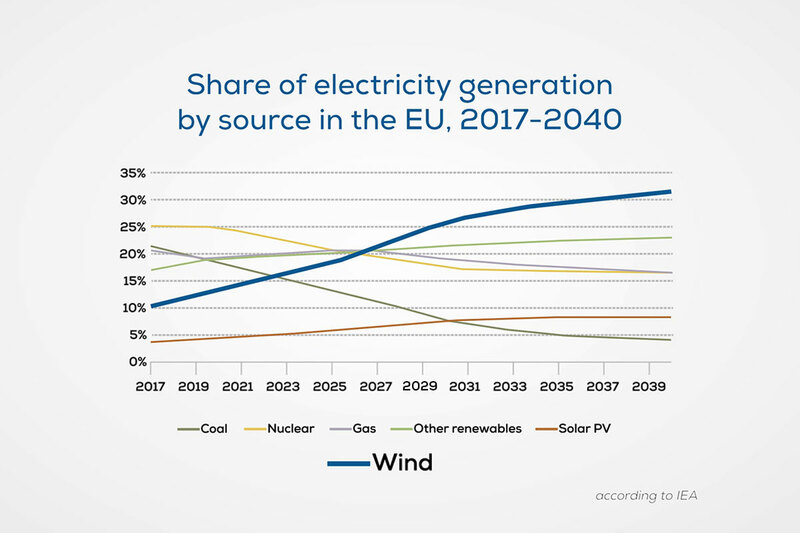 According to the IEA’s projections, wind energy will become the EU’s largest power source in 2027, overtaking coal, nuclear and then gas in the process. This is compared to the IEA’s last projection made in its 2017 World Energy Outlook, where it said this would happen “soon after 2030”. According to the IEA, wind electricity generation in the EU will more than triple to 1,100 TWh by 2040. 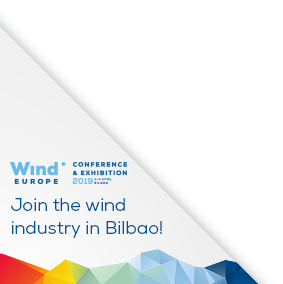 WindEurope CEO Giles Dickson said: “This is a resounding vote of confidence in the further expansion of wind power in Europe. We’ve long been saying that more wind make economic sense, as we’re the cheapest form of new power. It’s great that the IEA now sees wind being the no. 1 source of electricity in Europe in less than ten years. That’ll mean new wind farms and modernisation of existing ones, all of which will bring jobs, growth and revenues to local communities.